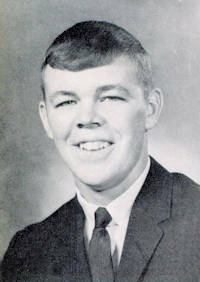 Obituary – Ripley, Joe Michael « Perry High School Alumni Association, Inc.
﻿Football ’63-’66, Football Tri-Captain ’65-’66, All-Conference ’65-’66, Wrestling ’63-’66, Golf ’63-’66, Boys’ State Delegate ’65-’66, F. C. A. Delegate ’64’-65, F.C.A. ’64-’66. On March 20, 2019, Joe “Mickey” Ripley, passed away at the age of 71 surrounded by his family. Mickey was born on February 2, 1948 in Pawnee, Oklahoma to Joe and Betty (Cockrum) Ripley. He received a degree in Education from the University of Oklahoma in 1971 and served in the Oklahoma Army National Guard. Mickey was a high school football, golf, wrestling, and baseball coach as well as a teacher and administrator in Oklahoma and Texas for 35 years. On January 14, 1970, Mickey married Gail Lynn Appleby. They had one son, Trent, and two daughters, Shannon and Jessica. Mickey was a talented athlete and accomplished coach. As a Perry Maroon, he earned 13 letters in 4 sports and was All-State in football and baseball, state champion wrestler, and played in the state golf tournament all in the same year. Mickey was recruited to play quarterback for the OU Sooners in 1966 where he became an Academic All American athlete and played in the 1968 Orange Bowl and Bluebonnet Bowl. After graduation, Mickey began his coaching career, first at Muskogee, twice at his Perry alma mater, and ending in Amarillo, Texas. He spent most of his career as the longest running head football coach in Bartlesville, and also coached golf. 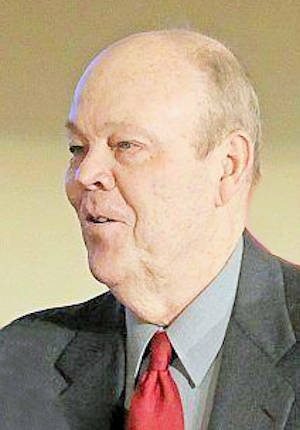 Mickey’s accomplishments included: state championships in golf and wrestling; head coach for Oklahoma in the Oil Bowl; Oklahoma Coach of the Year numerous times for football, golf, and baseball; serving as President of the Oklahoma Coaches Association; and being inducted to the Oklahoma Coaches Hall of Fame. Mickey was preceded in death by his father, Joe, and his mother, Betty of Perry, Oklahoma. He is survived by his wife, Gail; his son and daughter-in-law, Trent and Shelby Ripley of Richardson, Texas; daughter and son-in-law, Shannon and Mike Bailey of Bartlesville, Oklahoma; daughter and son-in-law, Jessica and Aaron Hawkins of Edmond, Oklahoma; grandchildren Olivia, Connor, Aidan, Audrey, Ember, Rhett, and Hazel; and his brother and sister-in-law, Ron and Terry Ripley of Norman, Oklahoma. A visitation is scheduled for Sunday, March 24 from 3 – 6 p.m. at Brown-Dugger Funeral Home, Perry. A funeral service will be held on March 25th at First Baptist Church, 601 N 7th St. in Perry, Oklahoma at 2 p.m.. Flowers may be sent to Brown-Dugger Funeral Home, 1010 N 7th St., Perry, OK 73077. Memorial donations may be made to the Perry QB Club, PO Box 468, Perry, OK 73077.